This week we have reached that exciting point in the birth of a book when all its component parts are assembled and we can actually hold a bound copy in our hands. 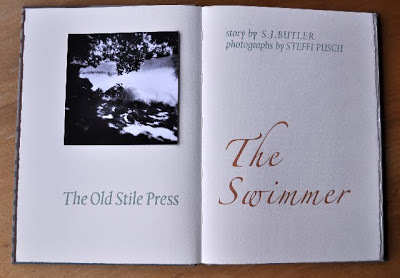 A storyteller, a photographer and the designer/printer came together to create The Swimmer. Sarah Butler – or as she prefers to be known as a writer, S.J. Butler – works as a freelance author, journalist and editor as well as ‘onion chopper, washer of socks and maker of tea’. A modest expression of her own talents. 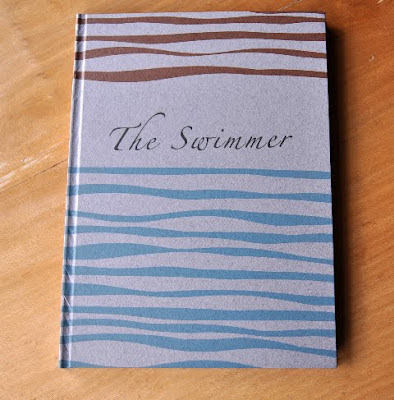 The Swimmer was published in The Warwick Review and then was selected for The Best British Short Stories 2011 published by Salt. 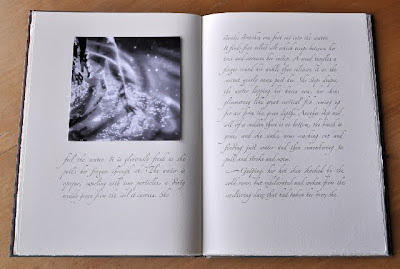 The photographer, Steffi Pusch, read the story and responded excitedly with images which employ both ancient and modern photographic techniques. At this point, enter Nicolas who felt that the story’s sense of flow and the photographer’s images, which float as if in the water alongside the swimmer, could happily be brought together in a book where type has been chosen for slow contemplative reading and the cover design places the whole in the heart of nature. 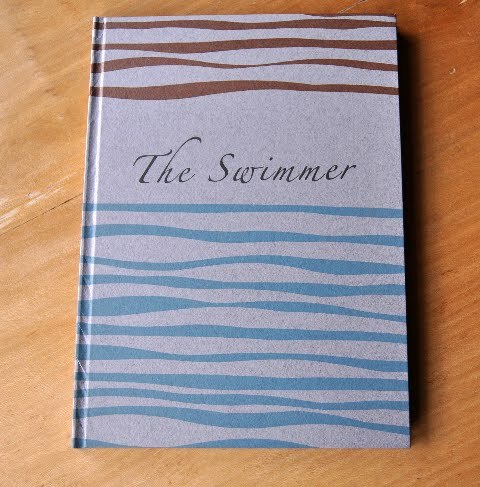 The Swimmer tells the story of a writer working in her room overlooking a river during a long, hot summer. Overcoming her initial fear of the river with its power and strength to overwhelm a swimmer, she steps into the water and into an unexplored realm of emotion. 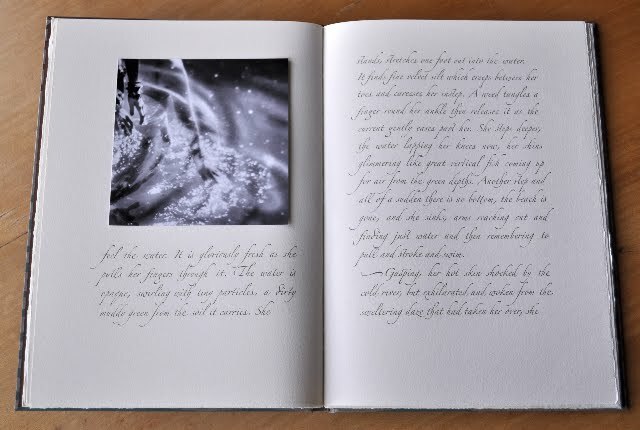 ‘Words and pictures swim together’ in the cooling water past tree-lined banks, under a bridge and around curving bends . . . so much is concentrated into this depiction of a self-revelatory experience. Copies of the book should reach us fairly shortly and will be £145 plus p&p so do let us know if you would like to receive one by emailing frances@oldstilepress.com.